The Platinum rating is the highest level attainable under the LEED ( Leadership in Energy and Environmental Design) program, a voluntary rating system for energy efficient buildings overseen by the US Green Building Council. Here's a look at the data center facilities that have been certified or pre-certified for Platinum LEED ratings. 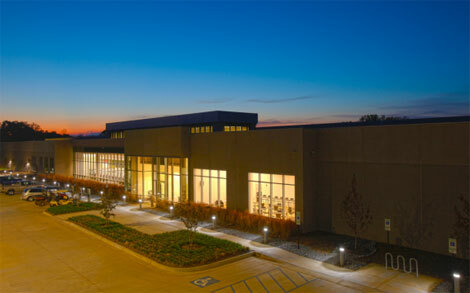 Apple's 500,000 square foot "iDataCenter" is the largest facility to earn Platinum status. The company used 14 percent of recycled materials in its construction process, and diverted 93 percent of construction waste from landfills. Apple also sourced 41 percent of purchased materials within 500 miles of the Maiden site, which reduces the environmental impact from trucking materials over long distances. Apple recently revealed plans plans to build a 20-megawatt solar power facility to support its operations, along with a fuel cell powered by biogas that could generate up to 5 megawatts of power. The facility also uses a “free cooling” system that employs water-side economization, in which cool outside air is incorporated into a heat exchanger to supply cold water for the data center cooling systems. The company estimates that it will be apple to use the economizer system for about 75 percent of the year. 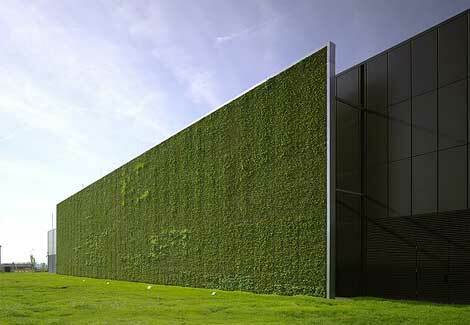 The new Citi Data Center in Frankfurt features a "green wall" featuring plants that are irrigated with recycled water. The 230,000 square foot Citigroup Frankfurt facility was the first operational data center to achieve Platinum rating in April 2009. It features a design optimized for use of fresh air “free cooling,’ which Citi estimates it will be able to use for 65 percent of the year. The facility also uses reverse osmosis water treatment to reduce sediment buildup in its cooling towers, which is expected to save 50 million liters per water per year (see our coverage of efforts to reduce data centers’ water usage). Then there's the outward-facing green features: A vegetated "green roof” area has been installed on 72 percent of the total roof area, and a vertical “green wall’ is covered with vegetation, and is irrigated with harvested rainwater. See Citi Frankfurt is LEED Platinum for more details. 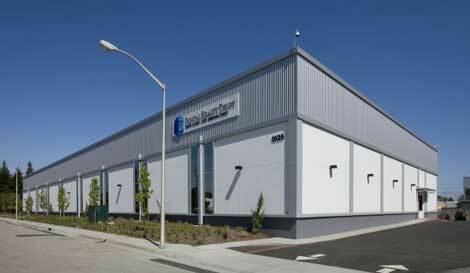 The Digital Realty Trust data center at 1201 Comstock in Santa Clara, Calif. 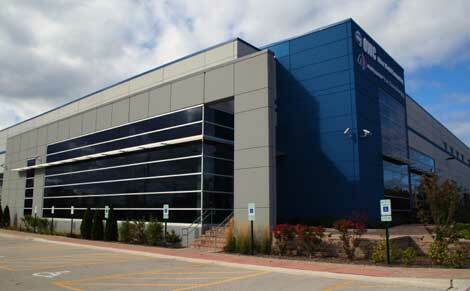 This data center at 1201 Comstock will use air-side economization for more than 65 percent of each year. At full load, this should produce an estimated 3.5 million kilowatt hours of annual energy savings worth more than $250,000 annually at today’s energy prices. Digital Realty said the site achieved a peak power usage effectiveness (PUE) rating of 1.31 during the commissioning process. The site also supports real-time PUE monitoring, allowing users to monitor energy efficiency in 15-minute increments and identify trends in PUE metrics over time. See Building A Data Center, Illustrated for a photo slideshow showing how Digital Realty retrofitted 1201 Comstock in just 26 weeks. The Digital Realty Trust data center at 1525 Comstock in Santa Clara. The Digital Realty Trust building at 1525 Comstock in Santa Clara, Calif. has just been certified for LEED Platinum status. The facility uses air-side economization (free cooling), using exterior air handlers to feed its raised-floor cooling infrastructure. The facility is the eighth Digital Realty building to achieve LEED status, with at least 12 more buildings currently in the review process for LEED certification. See In Santa Clara, 'Green Speeds Toward Platinum for more about Digital Realty's flagship Silicon Valley campus, which boasts four LEED data centers, two platinum and two gold. A view of the Intergate.Columbia data center complex built by Sabey Corp. in Wenatchee, Washington. VMware has recently received a LEED Platinum certification for its tenant improvements in its new data center at Building B Sabey of Corp.'s Intergate.Columbia campus in Wenatchee, Wash. Building B’s mechanical system uses hot air/cold air physical separation as well as evaporative cooling. This approach helps extend the number of hours that the data center can use air-side economizer for free cooling. The cooling system also captures the server-generated heat to help maintain office temperatures year round. See VMware Plans Major Data Center in Wenatchee for more details. The Other World Computing headquarters, which is entirely powered by wind energy and includes a data center facility. This lSP and hosting company in Illinois may be the first data center operator in the U.S. to power its facility entirely with wind power from an on-site turbine. On Oct. 19, Other World Computing (OWC) began using a 131-foot tall wind turbine to provide all the electric power for its building in Woodstock, Illinois, which includes the company’s headquarters and a data center supporting its web hosting and ISP services. The company's Vestas V39-500 wind turbine, which arrived in September, can provide 500 kilowatts of power. That's plenty to support the 37,000 square foot facility, which already employs a geothermal cooling system. OWC estimates that the turbine will generate 1.25 million kilowatt hours of power per year, more than twice the amount OWC needs for its operations. See Data Center Powered By The Wind for more details.